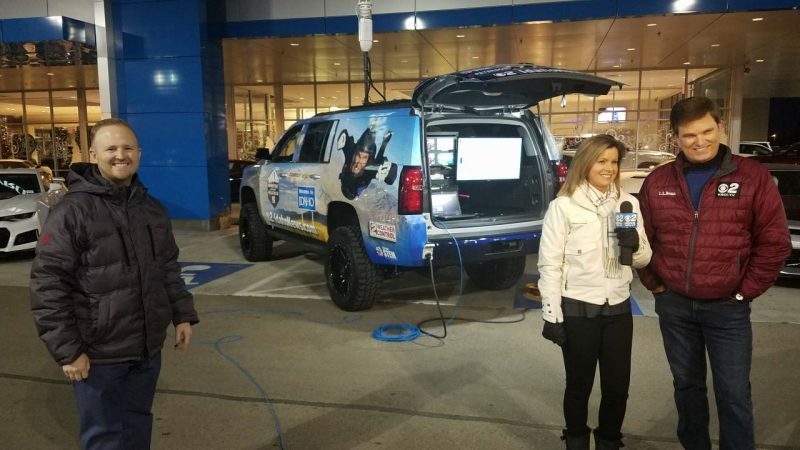 Channel 2’s Mobile Weather Lab. Meteorologist Roland Steadham often asks “What’s the first thing you look at before going on an adventure?” The answer is common yet simple — the weather. 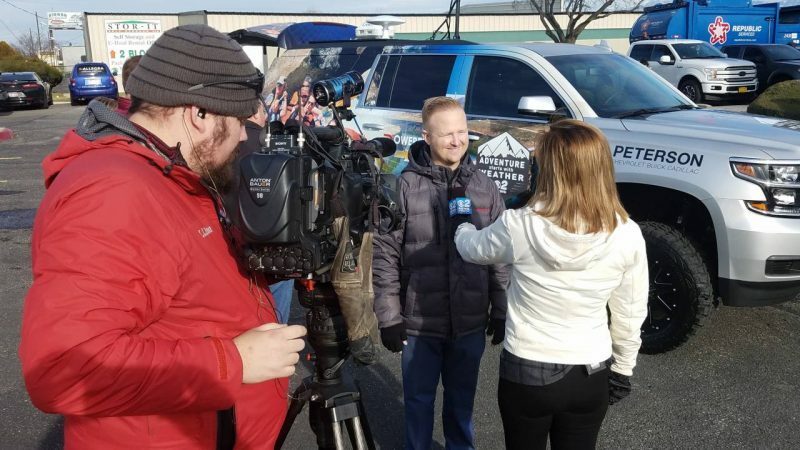 Recently KBOI Channel 2, Image 360 and Peterson Chevrolet partnered on building a mobile weather/live Chevy Suburban to bring the weather to the people. The 2017 Suburban is outfitted with a 6″ lift, and Pro Comp 20″ wheels and 35″ tires to ensure it can scale the roughest terrain often found in Idaho. 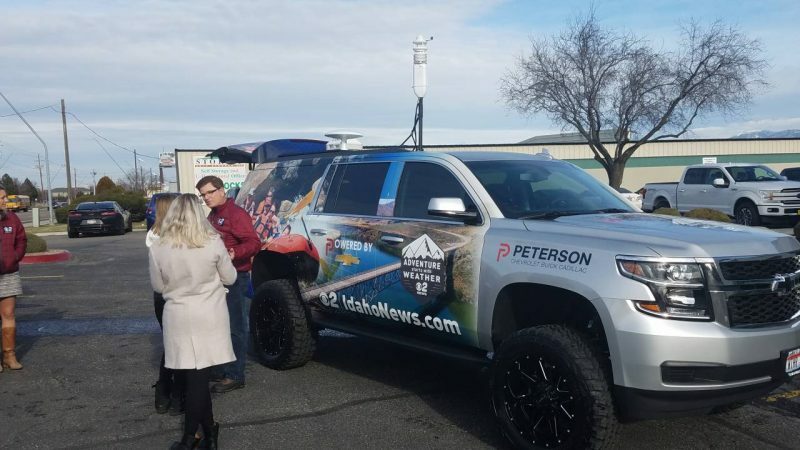 With the weather instruments and software this is truly a rolling weather lab that can provide real time data from downtown Boise to the Idaho back country. “In the weeks and months to come, we’ll be having some fun together. We’ll be there when the weather is happening. We’ll be there when it’s time to explore. To be honest with you, I had not seen the finished project until today. I was blown away. The folks at Peterson Chevrolet, Image 360 (graphics wrap) and our engineering department put together one SWEET ride” said Steadham. Our Employee Discount, Is Your Employee Discount.